Looking For Retaining Wall Supplier, Limestone, Construction? Whilst many firms have come and gone, we have continued to prosper due to our quality workmanship, professional colour matching of mortar to the limestone blocks, prices that are surprisingly inexpensive and the finish on each wall which is properly squared and accurately measured. We pride ourselves on our work and we love what we do. Building your limestone retaining wall is why we are in business and we have many testimonials over time that attest to our quality and professionalism. Whilst many firms take the "near enough is good enough" approach to the mortar between the limestone blocks, we accurately and correctly match your blocks to the limestone to ensure that your walls have the look of quality to your family and friend. It is an important feature of your home and can change the look and feel of your home if not done properly. When asked to quote, we are normally the best price despite the superior finish of our retaining walls and fences. We are registered for GST, fully insured and offer 100% satisfaction Guarantee on all our work. We are that confident that we can deliver on our promise. You may require combination Fence (Stratco) and Limestone Walls for your home. We have specialist fence partners who can erect your fence from as little as $65 metre which is extremely well priced compared with other companies. 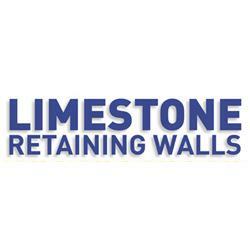 Call Us today on 0431 526 649 and deal with a professional Limestone Wall company. You won't be disappointed.